Corrective dental procedures can be expensive, with the cost of general anaesthetic compounded by the extended time required to remove diseased teeth and potentially prescribe antibiotics to fight infection. To prevent significant financial cost, not to mention the cost to your cherished pet’s quality of life, Warrnambool Veterinary offers FREE dental health checks and the Pet Smiles Program. The Pet Smiles Program is for otherwise healthy cats and dogs showing the early signs of tartar build up and gingivitis. It is designed to take preventative action before dental disease takes hold and compromises your pet’s oral and general health and wellbeing. > Discharge appointment including dental care advice and free sample of dental food. > No worse than grade 1 dental disease – this means early onset of gingivitis and tartar build up. Pets with more extensive dental disease will be subject to our normal dental surgery fees. 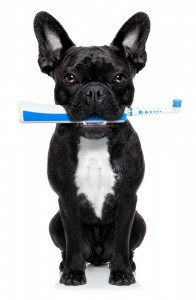 If your pet does not meet these criteria, the vet will advise you as to the best course of action to address their oral health concerns, and provide a full cost estimate for your consideration.